Please note that several of these books are available for free DjVu download at Archive.org. and peruse descriptions and reviews of them (for Kindle and print) at Amazon.com. There are additional previews available via Publitas for some titles (see links below). It occurred to me that some people only know of my photography, while others are familiar with my books, but not my essays or poetry…and so on; over time, it seems I have unwittingly encapsulated my being into comfortable compartments, pigeon holes that conformed to cultural expectations but rendered an incomplete picture. So this work is a deliberate departure from my previous self-division, an integral offering of T.Collins Logan comprised of many moments, but just one mind. I have included poetry, essays, autobiographical short fiction, journaling and photos, some of which has been shared in other formats before, and some that are freshly exposed to the world. Moments in Mind is available at Amazon.com. Beginning with an innovative way to define property, T.Collins Logan explores the moral underpinnings of civil society expressed by "the unitive principle." This principle, in turn, is applied to a method of property valuation and exchange that emphasizes well-being through community-level systems and structures. T.Collins advocates for design principles and several threads of evolution that must simultaneously occur in order to achieve a more compassionate and egalitarian political economy. This is a vision that takes root in individual moral development, and expands outward into community, regional, national and global relationships. In Political Economy and the Unitive Principle, constructive change is only possible when organic, grass roots activism coincides with top-down institutional reforms. There is considerable hope and optimism among these pages, and plentiful resources to support next steps in a more positive and productive direction. Political Economy and the Unitive Principle is a thoughtful discussion of one viable alternative to an increasingly toxic commercialist corporationism. 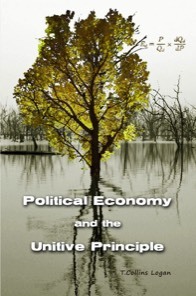 Political Economy and the Unitive Principle is available at Amazon.com in both print and Kindle formats. You can also explore a searchable online Publitas preview here. What sets Being Well apart from many other approaches to wellness is its focus on the whole person. There are the traditional physical, emotional and mental aspects of well-being to be found here, but there are also things like having a sense of purpose, creating a supportive community, and encouraging inner spiritual vitality. In simple, straightforward language, T.Collins Logan describes a total of twelve dimensions that require our attention and care, and how to begin caring for them in loving and effective ways. Being Well then offers a path to a harmonious unity – a way for all of these dimensions to relate to each other and thrive. But perhaps most importantly, T.Collins does not confine well-being to personal health and happiness, but describes it as part of a much larger vision. This vision includes the healing, growth and transformation of our relationships, our community and society as a whole. All of this is achieved with tools and habits anyone can learn, and relies on the strength and potential everyone has within. 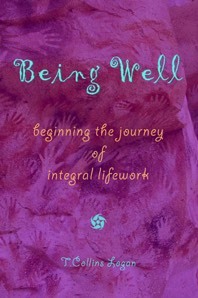 Being Well is available at Amazon.com in both print and Kindle formats. You can also explore a searchable online Publitas preview here. - An in-depth exploration of Integral Lifework's twelve dimensions of essential nourishment, and why a nourishment-based approach is so effective. - Real world examples of different people using Integral Lifework principles to create positive, enduring change in their lives. - Many ways to explore core concepts - with dozens of charts, diagrams, practical exercises, poems and stories. - Recommended personal goals and baselines for each essential nourishment center. - Additional resource suggestions such as books, websites and topical research ideas. Whether you are a new student of integral approaches, a seasoned expert in transformative practice, or an experienced healthcare professional, True Love is an invaluable source of fresh ideas and proven outcomes. True Love is available at Amazon.com in both print and Kindle formats. You can also explore a searchable online Publitas preview here. Essential Mysticism is a concise overview of mystical theory and practice, distilling elements common to all mystical traditions into a unified, straightforward methodology. 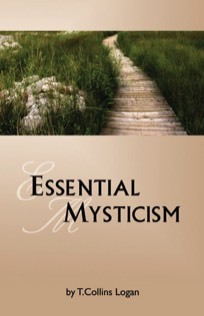 By outlining four core disciplines and emphasizing the goals of spiritual evolution and accountability to a higher Self, Essential Mysticism helps make life-enriching encounters with mystical realities both accessible and practical. 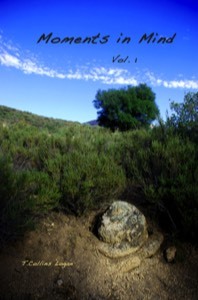 Essential Mysticism is available at Amazon.com in both print and Kindle formats. You can also explore a searchable online Publitas preview here. In A Progressive’s Guide, T. Collins Logan explores the progressive attitudes and activism of the New Testament that were radical in Jesus’ time, and continue to encounter the same resistance among religious conservatives today that they did in the first century. Each chapter begins with selected passages from the New Testament that relate to specific themes. Readers are encouraged to evaluate those passages using a straightforward method of interpretation, and to draw their own conclusions. Relying on careful analysis of the text, the historical context of early Christian writing, and his own immersion in Christian faith as a young man, T. Collins then offers his own insights into Biblical ideas and the Christian experience. Some of these insights are provocative, some are challenging, and some have far-reaching implications, but all of them advocate an ongoing evolution of spiritual and religious understanding grounded in compassion. To what end? T. Collins proposes that truly progressive ideas enhance individual and societal wholeness and well-being, continually improving a greater good that transcends religious affiliation or belief. As a mystic, he is most interested in uncovering the heart of a universal spiritual understanding, and effective ways of expressing that understanding in individual and collective action. 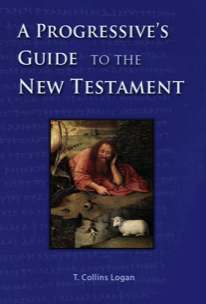 In A Progressive’s Guide, he demonstrates persuasively that the New Testament is a rich repository of constructive and progressive ideas, ideas that spring from the very essence of being human, and which inherently oppose rigid codes of behavior, overreliance on tradition, and institutionalized spirituality. 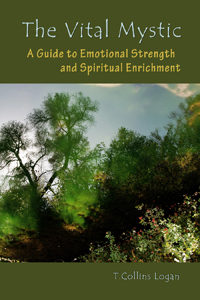 A Progressive's Guide is available at Amazon.com in both print and Kindle formats. Drawing on entertaining and sometimes harrowing stories from his childhood, T.Collins Logan explores the structure and meaning of memory and its relationship to personal identity in his life. First he develops a simplified cognitive model of memory, integrating other memory systems - such as somatic and spiritual - into a dynamic landscape, the memory field. He then introduces an integral method of consciously influencing these memory systems over time, active memory reorganization (AMR). The main focus of the book then becomes the application of AMR to his own experiences and self-concept. T.Collins is primarily concerned with how to apply these ideas in a therapeutic context, and in particular the enhancement of self-care within the nourishment paradigm of Integral Lifework. There are plentiful examples of how AMR can influence identity, with practical tools and techniques to enhance the process. This is an excellent resource for investigating how self-concept evolves, how memory supports identity, and how to mitigate barriers to well-being through the reshaping of memory. 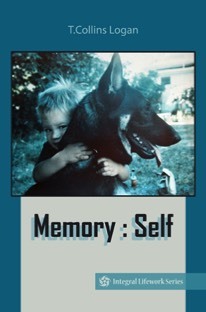 Memory : Self is available at Amazon.com in both print and Kindle formats. You can also explore a searchable online Publitas preview here. Mysticism is a journey of personal transformation. The Vital Mystic describes that journey in careful detail, providing tools, techniques and insights that support a deepening mystical practice. As mysticism opens doors to our innermost Self, it introduces us to powerful currents flowing beneath the surface of consciousness. With careful preparation, immersing ourselves in those currents can be inspiring, edifying and empowering. How can we ensure our mystical practice remains vital and alive? First, we can explore patterns of thought and emotion that hinder our ability interpret mystical information, and gently reshape those patterns in constructive ways. Second, we can focus our mystical efforts on the most positive, spiritually enriching outcomes. The Vital Mystic also explores common questions and hurdles encountered during mystical practice, so that regardless of what challenges arise we can remain grounded, purposeful and compassionate in all of our choices. 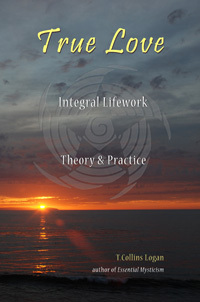 First published in 2003, The Vital Mystic lays much of the groundwork for the development of Integral Lifework by T.Collins Logan in subsequent years. The Vital Mystic is available at Amazon.com.